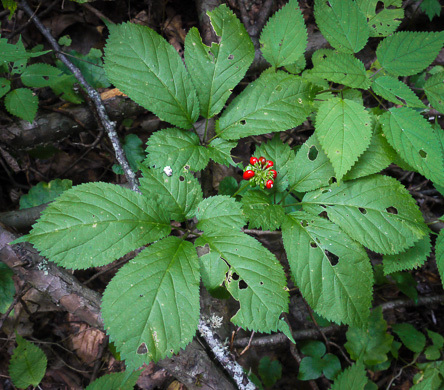 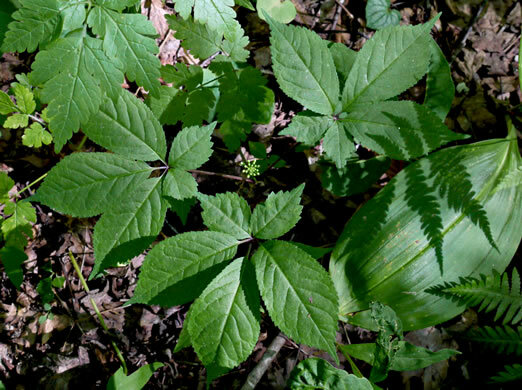 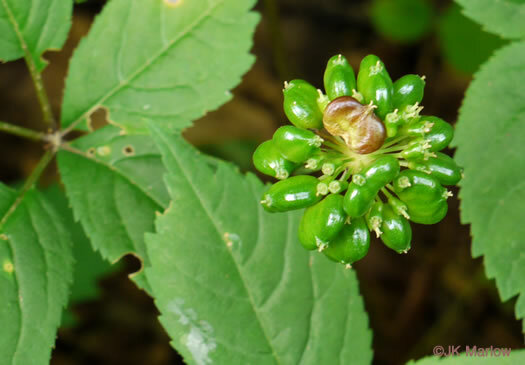 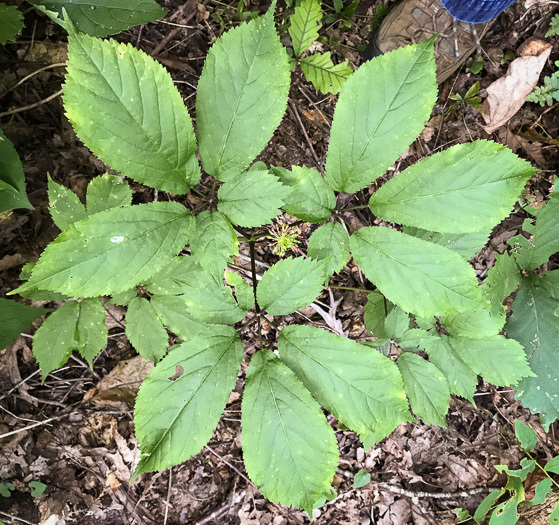 Read about Panax trifolius and the rest of Panax from Alan Weakley and the Southern Appalachian Botanical Society. 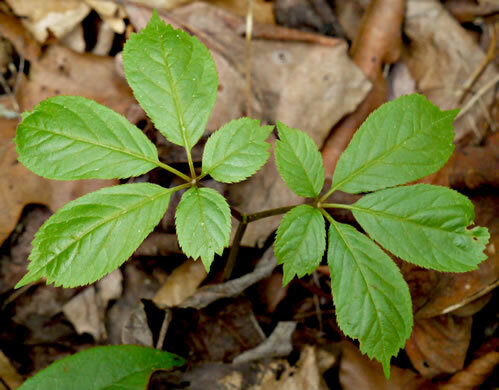 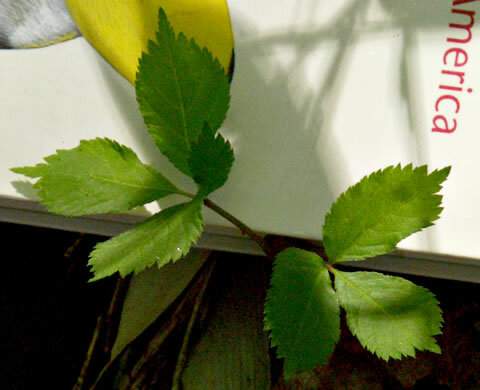 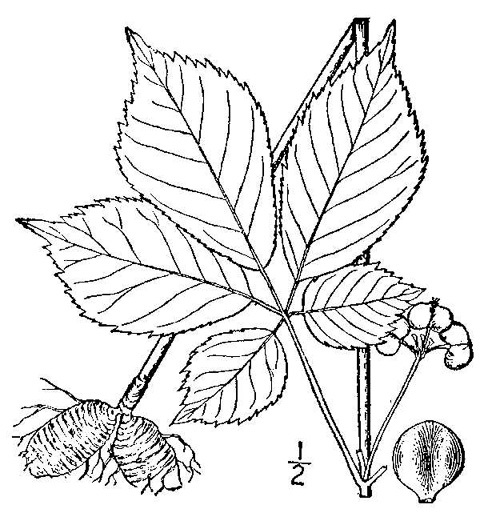 Each leaf is divided into 5 stalked obovate leaflets, the basal pair smaller, per Wildflowers of the Southern Mountains. 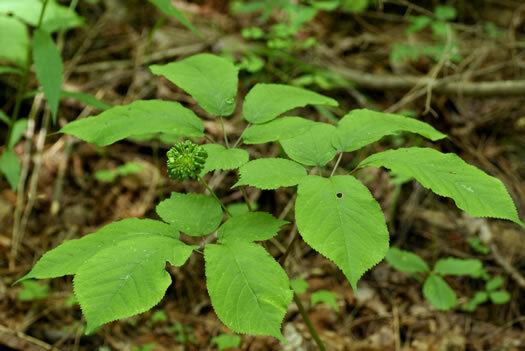 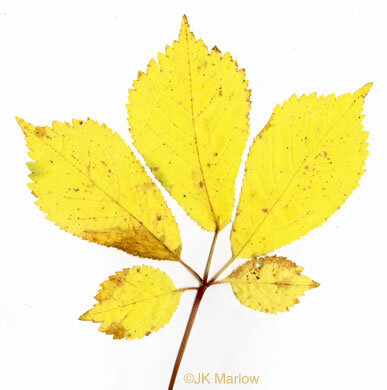 Slow-growing but long-lived, with a potential life expectancy of ~ 60 years, per Wildflowers & Plant Communities of the Southern Appalachian Mountains and Piedmont. 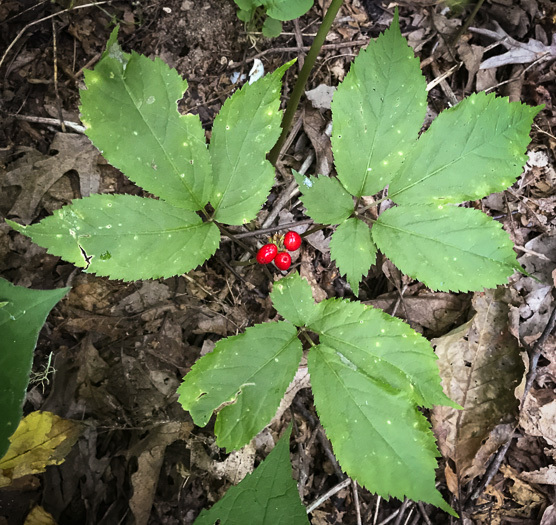 Berry-like drupes develop in late summer, ripening to crimson-red, per Wildflowers of Tennessee, the Ohio Valley, and the Southern Appalachians.